during a recent visit from my dear friend frani, i learned that somehow, she and my husband have been going around calling sherbet “sherbert” their whole lives. at first i was astounded. i thought my husband pronounced it that way as a joke, similar to how we pronounce the “t” in “sorbet” because it makes us laugh. (give it a try sometime). so i was doubly astounded when i looked up the pronunciation and while “sherbet” is technically correct, both are actually acceptable! (a piece of advice, don’t repeatedly listen to the audio pronunciations, or the odd recorded voice will be what you hear every time someone says the word. trust me on this). but more importantly, where does the second “r” come from?! that’s not how it’s spelled so why, why, why would that be okay? another reason the english language is so damn complicated. but now, i’m curious. vote in the poll below and help me prove i am not the only person who says “sherbet” correctly…without a second “r”! 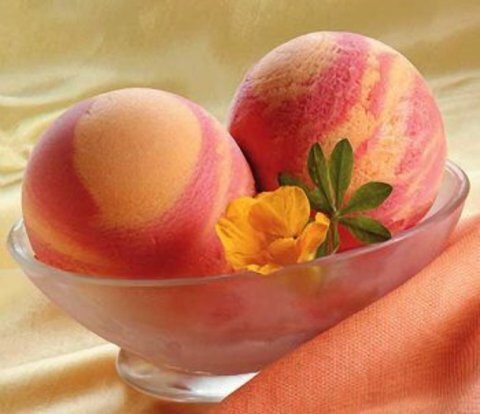 I LOVEEEE SHERBERT(: this picture loooks delicious ❤ im eating some right now ! I did not even realize until a little earlier that “sorbet” was even the word!